Built for all e-procurement platforms including Ariba, SciQuest, Oracle, Peoplesoft, Vinimaya, Coupa and many more. Greenwing Technology is a full service punchout catalog and ecommerce development firm. 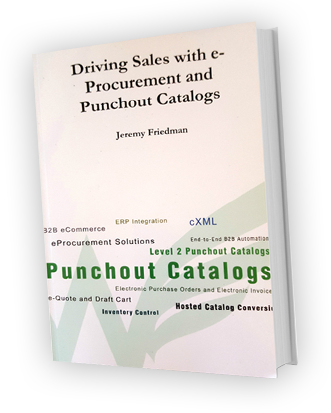 We specialize in helping your organization implement a custom Punchout Catalog for your buyers. From the simple catalog with 10 items to the complex electronic purchase order and invoice integration, our team can handle everything involved with your Punchout Catalog. Whether you need a Punchout Catalog in any location in the United States, our highly skilled team will provide you with prompt service to satisfy all of your Punchout Catalog needs.‚ We constantly research the latest technologies to meet our client’s needs in the ever-changing eCommerce and Punchout Catalog market.‚ No matter how complex or simple your Punchout Catalog needs to be, Greenwing Technology has a solutions to meet your needs. When you need a Punchout Catalog, make Greenwing Technology your only call at 1-877-415-3237.